Randwick winner Bergerac will benefit from a relaxed regime when he races at the Sunshine Coast. A successful plan to make promising Bergerac’s recent trip to Sydney as stress free as possible will see the gelding line up at the SunshineCaloundra on Saturday. Bergerac had two recent starts in Sydney, winning at Randwick on August 4 before finishing a close-up fifth at Rosehill a week later. It took the gelding’s career statistics to 17 starts for seven wins. Bergerac has accepted for the Maroochy Surf Club Handicap (1400m) where apprentice Clayton Gallagher will reduced his weight to 51.5kg after a 3kg claim. 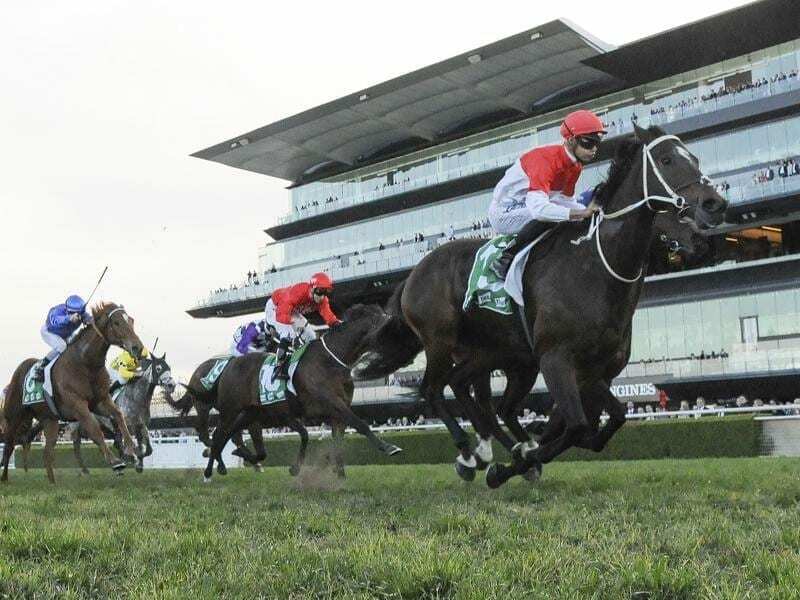 Trainer Steve Tregea hatched a plan to make the trip to Sydney as stress-less as possible for Bergerac and his travelling mate Prioritise. “We took two days to get there and we also had a stop over on the way back,” Tregea said. “I think breaking up the trip helped him and when he got back here he had a couple of days at our farm. Tregea said he had taken Bergerac to Sydney because he was desperate to get the gelding on a big track. “There is no doubt he is a big-track horse as you can see from his record at the Sunshine Coast where he has had four starts for three wins and a second,” Tregea said. Tregea said Bergerac would spell with another Sydney trip or the Brisbane summer in mind. “Who knows even a race like the (Group Two ) Villiers at Randwick in December might suit him,” he said. One thing Tregea learned from the Sydney trip was that Bergerac was versatile. “It showed he doesn’t need a sit and cover to win,” Tregea said.